Nike has recently come up with their first athletic-wear hijab, called the Nike Pro Hijab. 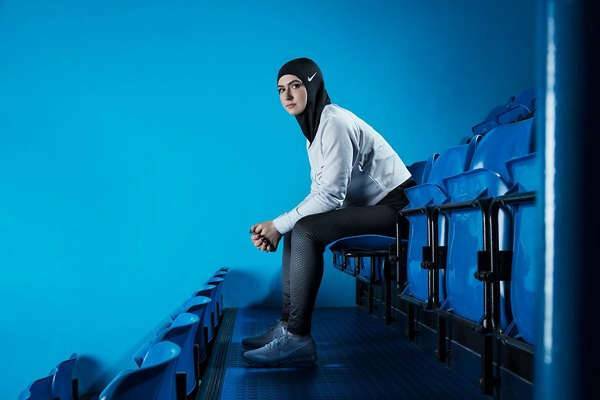 The company has been working on the product for more than a year and has even met with top-flight athletes like United Arab Emirates’ Amna Al Haddad, Nike+ Run Club Coach Manal Rostom, and Emirati figure skater Zahra Lari to understand the making of a functional head covering that meets and supports the cultural requirements of some female Muslim athletes. The product is made from both breathable and opaque fabric with the help of a single layer of lightweight polyester mesh. These pieces will make their debut in black, vast gray and obsidian with a signature white Nike swoosh above the ear. With a comfortable fit and easy to carry material, the hijabs are definitely taking the wide range of athletic wears a step ahead. Nike also launched a recent campaign- What Will They Say About You in the Middle East last month, and a new Arabic option for their Nike+ Training Club App. Even though there are a lot of activewear companies like Asiya that cater to Muslim women, but this is the first time that one of the major American athletic brands has created a sportswear hijab. 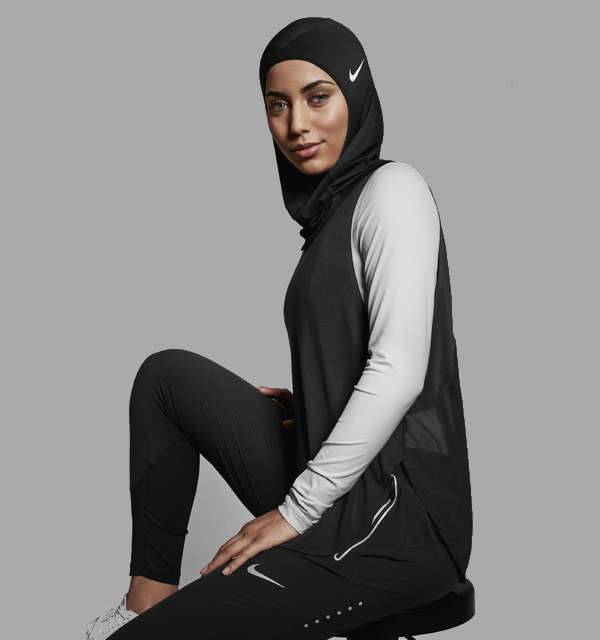 The Nike Pro-Hijab will be available to purchase early next year.